There are countless applications for data acquisition. Any physical phenomenon or physical property as a function of time is a candidate for data acquisition. Data acquisition is beneficial in both laboratory and industrial settings. However, with the advent of Internet of Things, data acquisition is now commonplace in the home, small business, or hobbyist garage. Educational applications range from middle school, afterschool programs, science camps, to high schools and universities. Engineering students, professors, and graduate researchers alike use DAQ systems everyday. Below are some real-world examples of data acquisition applications. Another useful application of temperature measurement is monitoring the stability of a mechanical system. For example, temperature measurements of an operational motor could yield data about whether the motor is working correctly. 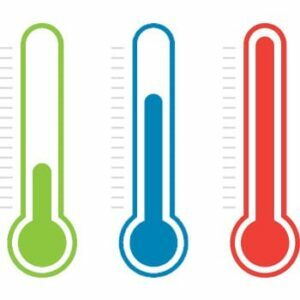 A huge spike in temperature could indicate a problem with operation, whereas a consistent temperature would correspond to a functioning system. The most common sensors used to measure temperature are thermocouples and thermistors. Thermistors measure temperature by changes in their own resistance as the temperature of the system evolves, whereas thermocouples produce a voltage that is directly related to the temperature of the system. Thermistors are generally the more economic option of the two and also do not require any amplification of the signal they produce. Frequently, however, a wheatstone bridge is required for operation. Thermocouples on the other hand are generally more reliable and less susceptible to electrical noise. However, amplification of the thermocouple’s signal is required due to its being in the millivolt range. On any model of the NyQuist, an analog input port would be used, and through this channel the sensor could deliver data for acquisition. 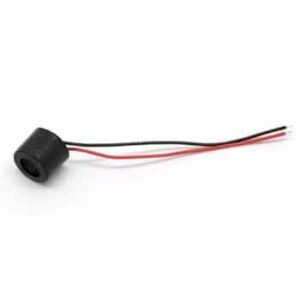 The sensors are generally powered by 3.3 V or 5 V, and extra circuit components such as resistors and capacitors are not usually needed for operation. Photocell detecting light from plasma processing chamber. A photocell is a sensor that can measure the intensity of light. Other light sensors are capable of measuring color (spectrum), or detecting modulated sources. Plasma processing is a key technology used in many industries for coating materials from sunglasses, to LCD screens and solar panels. One novel application of light detection is employed to measure the temperature of a processing plasma discharge. 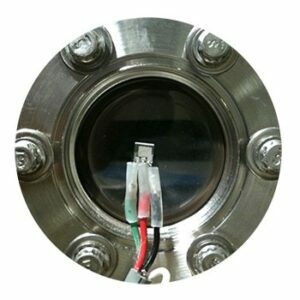 Directly measuring a plasma discharge electrically perturbs the discharge itself, so using optical detection method is prefered when permissible. To do so, a DAQ system could be used to collect light intensity at certain wavelengths to determine the excitation signatures of specific noble gasses in the discharge. A Nyquist DAQ device and a few photo sensors (with bandpass coating) could serve this purpose with little physical setup. This could replace thousands of dollars worth of spectroscopy equipment. 1M. V. Malyshev and V. M. Donnelly, “Determination of electron temperatures in plasmas by multiple rare gas optical emission, and implications for advanced actinometry,” Journal of Vacuum Science & Technology A: Vacuum, Surfaces, and Films, vol. 15, no. 3, pp. 550-558, 1997. An important application of sound data acquisition is monitoring sound levels in the workplace. The Occupational Safety and Health Administration (OSHA) limits the maximum sound levels and the duration at which sound levels can be sustained. For example, OSHA limits sound levels at 90 dBA to 8 hours. 100 dBA is limited to 15 minutes. For every 3 decibels over 85 dbA, the allowed exposure time is decreased by half. By using a data acquisition system coupled with a microphone, employers can ensure they don’t exceed OSHA limitations. Sound frequency (Hz) and sound intensity (dB) can be directly measured with an appropriate sensor and DAQ. The microphone is a well known sensor to convert sound waves into analog electrical signals. Often modern compact microphone assemblies contain an amplifier to convert the mechanical vibration mode (electret, piezo, or coil) to a measurable voltage. This voltage can then be logged directly by a DAQ or amplified, filtered or integrated for a particular application. Afterward the data logged by the DAQ can be converted into the frequency domain for further analysis or even simply recorded for playback. 1 Occupational Safety & Health Administration [OSHA], “OSHA Technical Manual – Noise,” 2013. 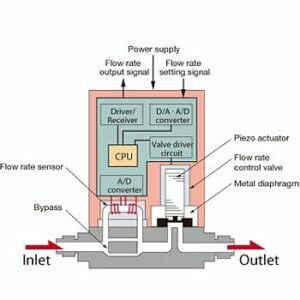 A simple application of a flow sensor and data acquisition system can be used to monitor the performance of HVAC systems. If the flow performance rapidly degrades, it could be an indicator that there is a problem with the system and isn’t operating as efficiently as it should be. There are many sensors that measure flow from residential water meters to chemically reactive gas mass flow controllers (MFCs). 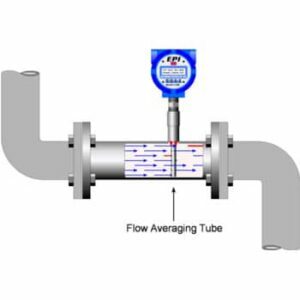 Flow is measured in a rate and each sensor or controller is typically calibrated for a particular gas or liquid. The output (generally voltage) is proportional to the calibrated metric. This voltage is recorded and processed by the DAQ and software. Flow controllers have the added functionality to maintain a set flow rate as programmed by an input voltage. The DAQ would then set a flow rate using an analog output port and measure the resultant flow with an analog input port. MFCs are generally controlled using 0-5V, 0-10V, or serial RS-232 signals. Expanding on the mass flow controller concept, a chemical engineer could use a DAQ to measure and control a set of MFCs for a chemical deposition process. 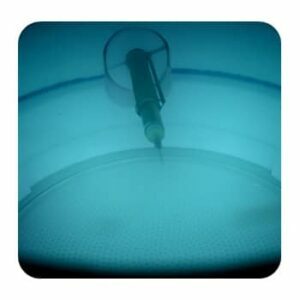 Typically, such a process would use a “recipe” to control a temperature, plasma, or other energy source as well as a host of MFCs to produce a chemical coating or film. Once wired to the DAQ, the MFCs would be able to meter the gasses flowing through them and control the rate using a proportional valve and feedback loop. The loop’s input variable would be a voltage from the DAQ as a flow rate set point. For example, 1V signal from the DAQ to the MFC might allow 100 standard cubic centimeters per minute (SCCM) of gas to flow into the reaction chamber. Another key application of data acquisition is the measurement of force in a system. Knowing the amount of force being experienced at various points in a system is crucial to many areas, such as robotic tactile sensing, payload condition assessments, drilling and extraction systems, as well as industrial scales. One example of force measurement application is in the diagnosis of bearing faults in mechanical systems. In 2014 a new method was developed to better understand the nature of bearing faulting by a combined use of a load cell and an accelerometer. Upon conclusion of the study, it was found that the accelerometer shed light on the location of the fault, whereas the load cell was critical to identifying good bearings from defective ones before they were ever used in a construction. In this case, force detection was the difference between a failed system and a successful one. Load cells are the sensors used to measure force. These sensors come in many different forms, each customized to suit a desired level of accuracy, sensitivity, or physical integration situation. Load cells additionally have differing numbers of measurement axes. For example, the S-type load cell pictured can only measure stretch or compression along one axis, whereas the disc load cell can measure multiple axes of force. When using a load cell, amplification is another consideration. The load cells themselves output a signal in the millivolt range, and thus must be amplified in order to be read by the NyQuist. It is possible to determine the force through conversion of the output voltage based on the load cell’s excitation voltage proportion, which varies depending on the sensor and is represented by raw millivolt signal in a ratio with amplified voltage. Then, through simple unit conversions the desired output units can be achieved. Additionally, different amplifiers have different gains, and some are adjustable to reach the user’s desired gain. Regarding interfacing with any NyQuist model, a load cell (by way of an amplifier) uses an analog input, and can be powered by a varying range of voltages. Measurement of position and displacement has widespread impact upon many different applications. Some applications include backup cameras in cars, vibration sensing of rotating systems, and part identification and design confirmation, among many others. Two common sensors for measuring change in position are the ultrasonic transducer and the eddy current sensor. Both are robust, capable sensors that thrive in extreme environments involving widespread temperature ranges, high pressure, as well as dirty operating conditions. However, they operate and receive information about displacement in two different ways. The ultrasonic transducer detects the waves produced by the very particles that make up materials when they are exposed to electricity. The transducer acts as both the creator of the electrical signal pulses as well as the receiver of the resulting ultrasonic waves from the material. As proximity to an object changes, so do the waves created by the particulate vibrations. Therefore, based on the changes in the response of the material, the data acquired by the transducer can be used to determine the distance the sensor is from an object. The second common sensor used in determining displacement is the Eddy current sensor. This device uses magnetic field produced by electromagnetic induction to collect data. In the sensor, as alternating current is initiated, which in turn produces an alternating magnetic field. As the sensor approaches a conductor, the induced magnetic field in the sensor a second induced field, this time in the material itself. 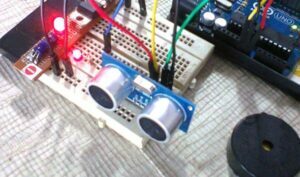 Therefore, the sensor then uses the interactions of the two magnetic fields to produce a voltage proportional to the distance between the sensor and the conductor. Depending on the sensor, either an analog or digital interface can be used to acquire data. Additionally, sensors suitable for use with the NyQuist will generally use a 5 V power. Though the sensors are incredibly good at their jobs, they do require calibration before use. 2 Buonsanti, Michele, et al. “Ultrasonic pulse-echoes and eddy current testing for detection, recognition and characterisation of flaws detected in metallic plates.” Proceedings of the 9th European Conference on Non-Destructive Testing. 2006. When working with any kind of system that has a rotational component, it is often useful to quantify just how fast the component is spinning. This can be done by measuring the revolutions per minute, or RPM. Then, speed itself can be determined from the RPM data. Just one application of measuring rotation is in a drilling system. In such a system, it is crucial to know how fast the drill is spinning, and this can be determined by readings from a Hall Effect sensor. 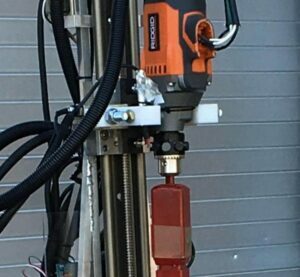 In the image below, there are many magnets attached to the drill to increase resolution. The data read by the bipolar Hall Effect sensor is then divided by the number of magnets present to determine RPM. Hall effect sensors can be either digital or analog inputs, and they are frequently powered by 3.3 V or 5 V, depending on the specific sensor. 2 Allwine, Elmer. 1998. “Magnetic Position Sensor Having A Variable Width Magnet Mounted Into A Rotating Disk And A Hall Effect Sensor”. US. 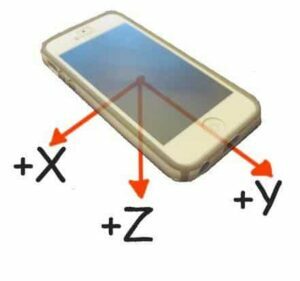 Accelerometers can measure in up to three axes, and they utilize an analog input. A transistor can frequently be required in the circuitry for using an accelerometer in order to prevent system noise from affecting the sensor data. Additionally, accelerometers require calibration before use. 2 Troiano, Richard P., et al. “Physical activity in the United States measured by accelerometer.” Medicine and science in sports and exercise 40.1 (2008): 181. Acidity and alkalinity of a solution are measured in a unit called pH (potential of hydrogen). It is measured on a scale of 0 to 14 with 0 being the most acidic, 7 being neutral, and 14 being the most alkaline. This scale is a logarithmic scale, meaning a pH level of 4 is 10 times more acidic than a pH level of 5. This characteristic is measured based on the content of hydrogen (hence the name) in a solution. The more hydrogen present, the more conductive the solution is and therefore the greater electric potential it can produce. Based on this characteristic, a simple method for determining pH can easily be implemented, and that would be through measuring the voltage of a solution. 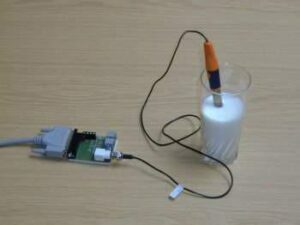 The sensor that does just that is known as a pH probe. Within the probe is contained both a positive and negative probe, which collectively work as the main probe overall. When the sensor is placed in a solution, a complete circuit is created by the presence of the positive probe, the solution, and the negative probe. Then, based on the voltage produced by the circuit, the pH of the solution is easily determined. 2 Su, Yongxuan, et al. “An improved optical pH sensor based on polyaniline.” Sensors and Actuators B: Chemical, Volume 71, Issues 1-2, Pages 118-122. 2000. It’s often the case that multiple types of sensors are needed to give an understanding of the physical world. Now that we have explored some of the applications of data acquisition with individual sensors, it is easy to see how integration of multiple sensors could be useful for measuring many different types of data. A multi-sensor system is the phrase that can be used to characterize just about every technology we use in daily life. From an iPhone, to a car, to a computer, multiple sensors integrated into unified systems enable advanced acquisition of many different kinds of data. Shown in the figure below are just a few of the many sensors inside an iPhone, a very familiar multi-sensor system. Though the examples previously given were of very complicated multi-sensor systems, integration of sensors can be much more simple. For example, something as baseline as an LED lighting up according to certain data values being read by a temperature sensor is still an integrated system. It is fundamental applications such as this that, layered together, can ultimately produce a complex, highly functional system.